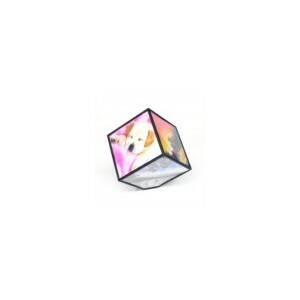 The Photo Cube revolves on a flattened corner with each of the six faces displaying a photo. Batteries provided free courtesy of us! Only with online purchase.